Due to manufacturer's restrictions we are unable to ship Asics products to Great Britain. Stay cool, mile after mile in this men's running singlet. Great ventilation helps you stay dry and cool, while the lightweight feel gives your run an extra boost. 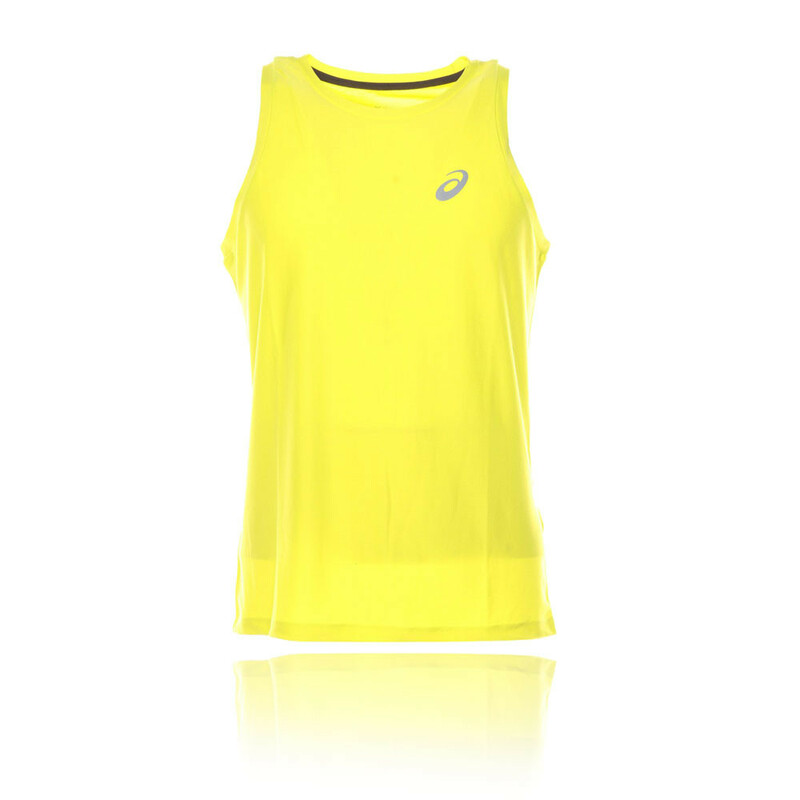 "good purchase good value for money and very comfortable and light"
The running singlet is constructed using Asics' MotionDry technology that works to wick sweat and excess moisture as it's produced. Once wicked the technology then transfers it to the outer layers of the fabric where it can be easily evaporated, ensuring you stay cool, dry and comfortable. 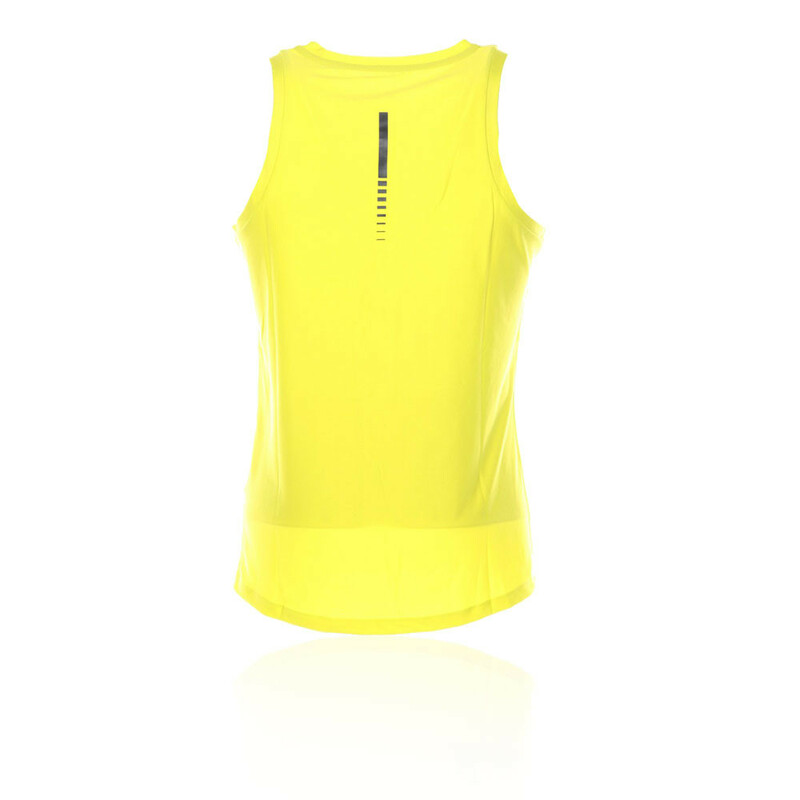 In addition, flatlock seams are a key feature throughout as they eliminate the chances of chafing or skin irritation, allowing you to focus on your run with no distractions. Lastly, reflective details enhance your visibility during low-light conditions. Founded in 1949, Asics is undisputedly the leading running shoe brand for both enthusiasts and professional athletes. Whether you're attending sporting events or enjoying a leisurely run around the local park, Asics is the ultimate runner's choice for providing comfort, support and a superior ride. From opening the Research Institute of Sports Science in Kobe in May 1990, the brand is unmatched for technological superiority and rigorous quality, and many innovations have stemmed from this unique site where scientists and athletes work together. The mission is to become the number one brand for sports enthusiasts by striving to build upon current technological advances and pledging to bring harmony to the body and soul. MotionDry Technology - Wicks sweat and dries incredibly fast. Flatlock Seams - Eliminates chafing and discomfort. Reflective Details - Enhance visibility during low-light conditions.